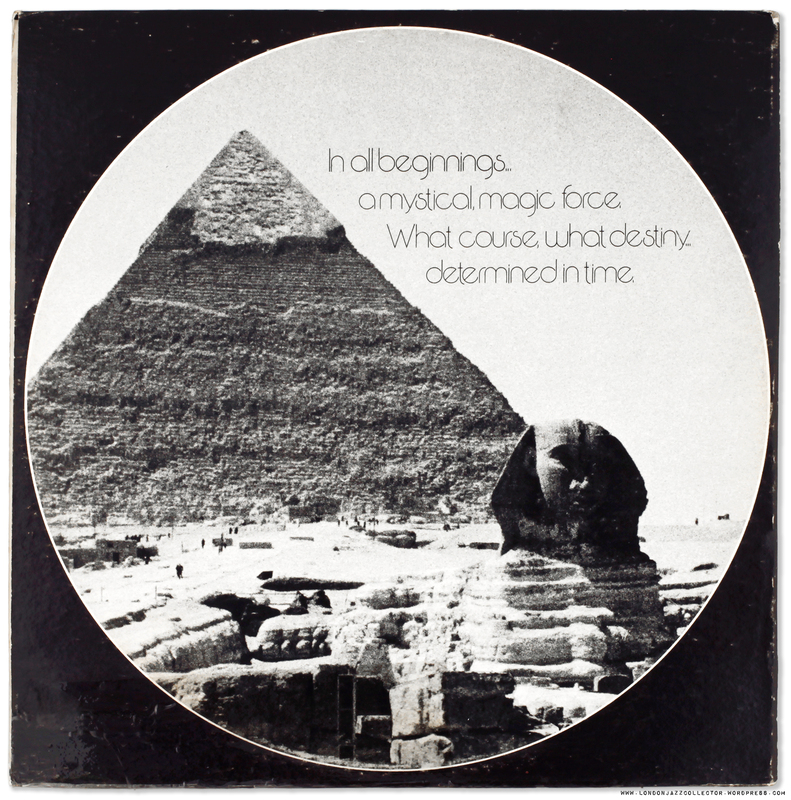 Billy Higgins drums, percussion; Cedar Walton, Stanley Cowell, piano; Clifford Jordan, tenor saxophone; Bill Lee, Sam Jones, bass. Recorded October 29, 1973 at Minot Sound Studio, White Plains, NY, engineer Ron Carran, mastered by Dave Crawford at Generation Sound Studio, NYC . 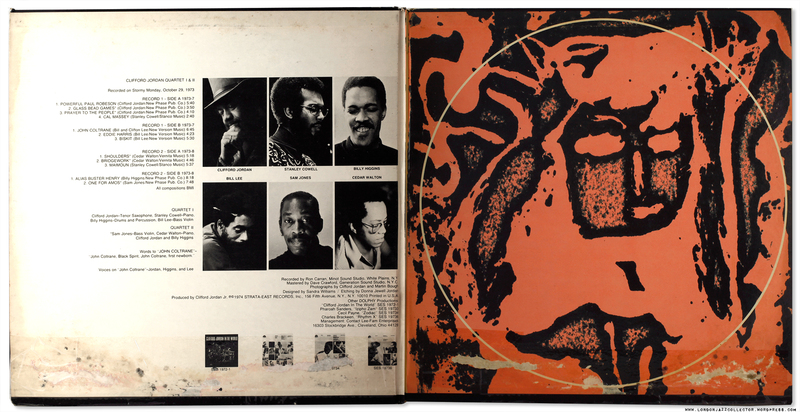 Fifth part of the Strata-East Dolphy Series, Glass Bead Games is arguably the crown jewels of the Strata East movement, an amorphous genre that treads an unusual path between post-bop, 70’s avant-garde and spiritual jazz, with a groove. Several tracks are portraits dedicated to icons of a recent generation – Powerful Paul Robeson, Cal Massey, John Coltrane, Eddie Harris – stylistic references but played with its own intelligence and respect. The quartet’s take on Eddie Harris (selection) caused me to think again about Electrifying Eddie. Not sure if I am ready yet for electrically amplified saxophone, but who knows. 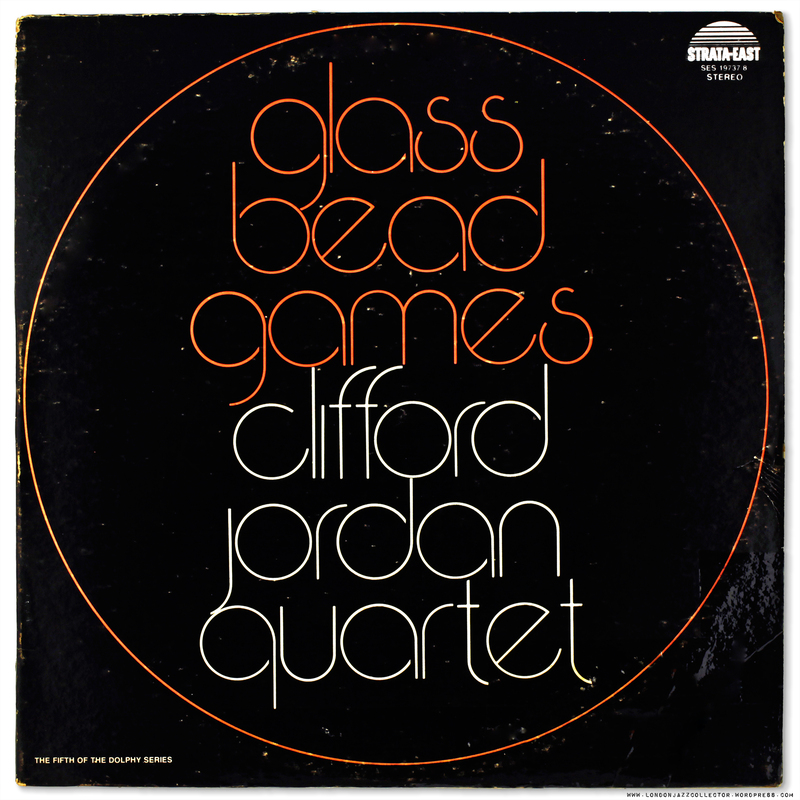 Jazz Times articulates well Clifford Jordan’s fullness of expression and distinctive voice: “No better representation exists of Jordan’s narrative gifts (on Glass Bead Games) – his lyricism, wit, mastery of changes-playing and vocalized tone, broad and burnished at all tempos and harmonic contexts, equally comfortable deploying the bright colors of the upper register and the dark hues of the tenor’s bottom.” I would add only that his execution offers the right amount of unpredictability, always fresh and interesting. One for any font-aholics out there, the typeface featured on the front cover is apparently called Wexford, designed by Richard Schlatter and released in 1972, according to the wonderfully informative Fonts In Use site. The gatefold interior throws in a spiritual abstraction in a shade of red that I would call “indescribable”, where the power of words fails to rise to the occasion, maybe terracotta or tangerine? Vinyl: SES 19734 two record set. Strata East are solid performers on the turntable – good dynamic and tonal range and an unfussy centrally-focussed stereo presentation that helps concentrate on the music rather than the theatre. Mystical Magic Forces , and Destiny. Great! 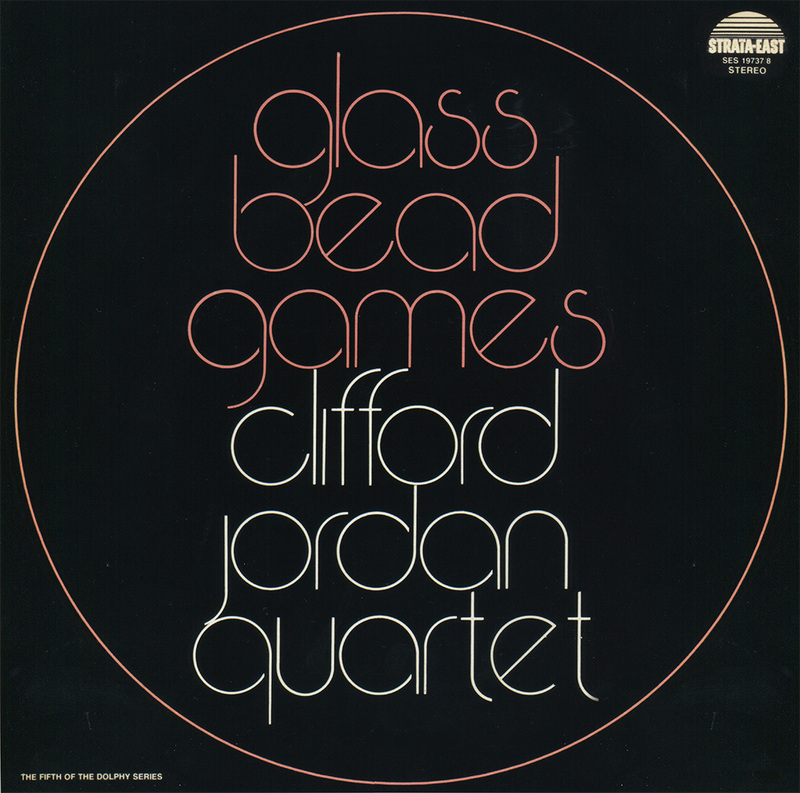 Just a few weeks after writing about the Clifford Jordan live album Night of the Selmer Mk VII on Muse , no-one was more surprised coming face to face with an original copy of the studio album on which the live set was based, the sought after Glass Bead Games original double album. The front cover is a little tattier than that shown, which has had the benefit of a little repair in Photoshop which I can not unfortunately do in real life. (When Life was first created they forgot to include some essentials, like an Undo button, and a Magic Eraser. Or perhaps just a Reset button). But I figured, why would readers want to look at a torn cover? Glass Bead Games is one of the few albums whose Discogs entry actually contains some collector reviews. Indeed, I could have written that myself, though I didn’t. I too paid an arm and a leg for this – but looking on the brighter side, the replacement prosthetic limbs are functioning well. And it’s only money. You can’t play money, it doesn’t sound any good. It is relatively easy to turn money into records, the trick is turning them into the right records. Glass Bead Games is one of those. This entry was posted in Clifford Jordan, Strata East and tagged Clifford Jordan, Spiritual Jazz, Strata East by LondonJazzCollector. Bookmark the permalink. Thought I’d give a heads up to anyone who might see this that Superfly Records has a reissue of this coming out in mid January 2019. Pre-orders are already live at several online shops. Powerful Paul Robeson is a masterpiece. Another 1,000 copy limited release, Zoot alors! No mention on the Superfly site regarding sources. Do Strata East tapes still exist and who owns them? There is a current company associated with Strata East, called SERECS, but if Superfly had a licensed release vinyl using original tapes, wouldn’t they shout about it pre-release like Gerald Short did? Seems oddly lacking in specifics, even using a Japanese reissue cover on their site. As far as I’m aware, all of Superfly’s prior releases have been legit. But I suppose I couldn’t say for sure though. Maybe has something to do with this album being one of the issues of the Strata / Dolphy series. Not sure what you mean about the cover though…looks like a faithful reproduction of the original cover to me…aside, of course, from Superfly’s own Obi strip that has come on all of their latest releases that I own. Anyways, cheers, and if I come across any additional info, I’ll be sure to post. Superfly’s own Obi Strip? A French Obi? Aha moment! Label : Superfly Records, Press : SRLP030 – Japan. So, it’s a Japanese pressing, for Superfly, Paris. Enlightenment, thank you. ooh, yeah those Denon pressings are amazing. Good catch, Mark. Strangely, the record labels give the title as “The Glass Bead Game” (singular) – whilst the cover has the plural “Glass Bead Games”. The Herman Hesse book from which the title originates is the singular, if that matters. I suspect the motive is as mundane as getting the typography to fit nicely onto the cover. that kind of thing is so common that i accept it as normal. i always say: you don’t listen to the cover! congrats on this score! i have roughly 1/3 of the SE catalog, but this one eludes me. i had the chance to buy it awhile back but instead bought three other SE records at much lower prices. i don’t regret it… i just wish I had buckled in and bought this one too! A real Strata East classic. I saw Stanley Cowell with Billy Harper and Charles Tolliver at the Detroit Jazz Festival in 2016 and it was billed as Strata East reunion. Powerful. It’s ok, my friend. Torn covers are nothing to be ashaned of. It’s obviously the sweet vinyl inside. I’ve got plenty of records in great condition but with trashed covers. Haha! Love it how you put up 2 tunes from a 2 x LP set. Good thinking. Spike’s dad played a mean bass. This is one of my current favorite albums. I agree, it’s worth the “arm and leg” I paid for it as well. I’m very happy you are covering these Strata East titles. Having not discovered this label until recently, it’s reinvigorated my love of jazz and I’m eager to learn more about each release.